I survived our ten day trip to Japan, thanks to my two sons and granddaughter and to our generous hosts. We had a great time. 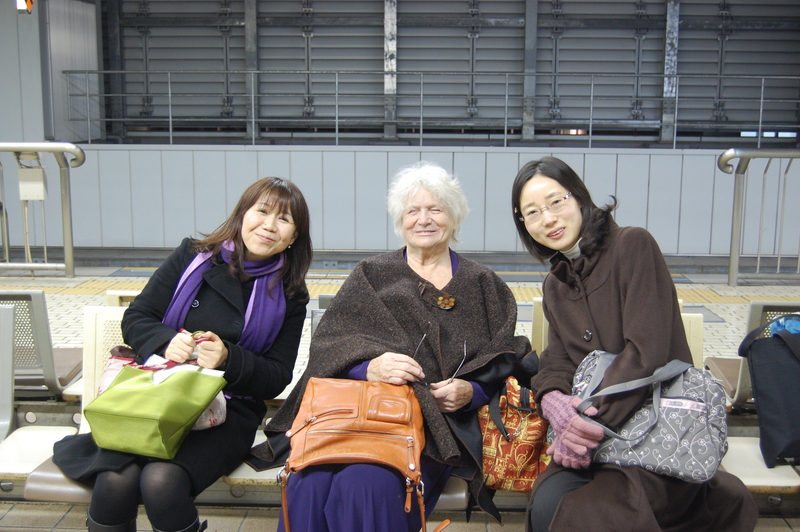 People in Japan were extraordinarily kind and gracious to us. I have returned home with a new appreciation for all the bowing back and forth. I rather liked it! The sights were amazing—from ancient to futuristic standing side by side. At our hotel room in Tokyo we looked out of our room onto Mount Fuji. At sunset it was like a fairy tale. We ate and ate and ate—wonderful food. We stopped at the City Museum in Nagoya to see my family’s one-time wall mural by Diego Rivera from the controversial Rockefeller Center fiasco. It is Diego’s redoing of the central and most controversial panel—with Lenin, Marx and Engels leading the way alongside of lots of warring communists. Stalin, with bloody eyes, looks down at a smiling Bukharin (whom he subsequently murdered), and across from a stalwart looking Trotsky (who met the same fate), and includes two women (Rosa Luxemburg and Clara Zetkin) and more. We enjoyed a brief talk with the museum’s curator who bought the mural from us more than fifteen years ago. We went to museums, pagodas, temples, shrines, markets, gardens and got in three speaking engagements and one school visit. 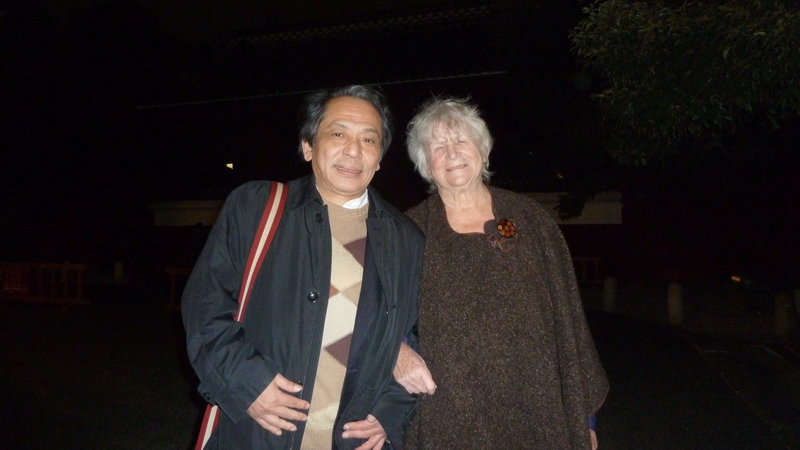 I was particularly entranced by the Japanese-style gardens which were beautiful even—or especially?—in the winter. I wish I could reproduce the style in Hillsdale. My son reminded them that it was not so long ago when teachers and politicians in America were told that Japanese schools were the future. Why can’t we do as they do, we were asked? Before that it was Russian schools. And since then it’s been Singapore and now Finland. 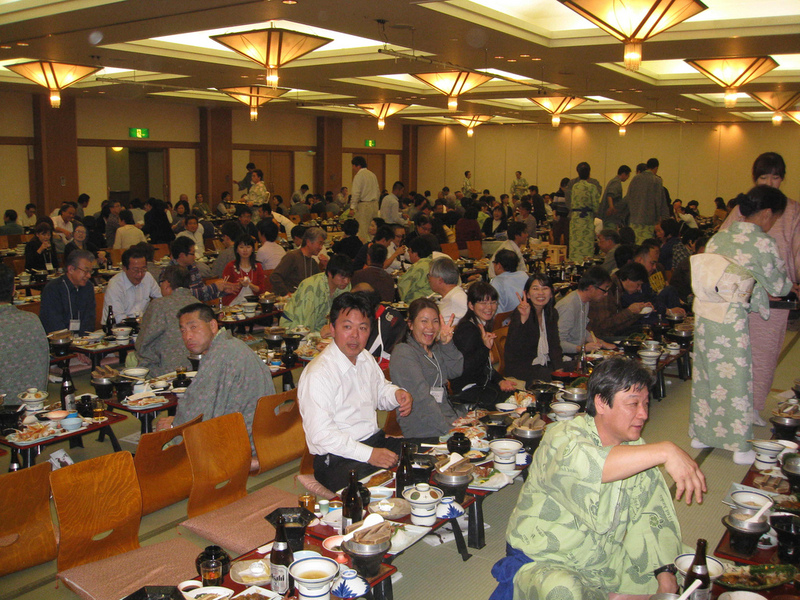 We were told Japanese children were obedient and hard working, although listening to the teacher talk last week it was clear that they were having virtually all the same problems we were and moving in the same direction we are. They found our description of Japanese education amusing. There is a lot of educational turmoil there as here, as two “factions” battle for the future: those wanting a more rigid, centralized, exam-driven top-down approach and those who believe the Japanese have to move in a progressive direction if they are to become innovators as well as followers—economically and politically. The one school I visited was hard to judge since it was both a special school and it was the first day back from vacation! The most impressive thing was how quickly kids moved desks around to match their various pedagogical styles. Learning English is especially tough, as would learning Japanese be for us. Class sizes are large—as high as 40 in the two classes we visited—a math class and an English language class. There is a very weak teacher’s union and it is getting weaker. For example—does this headline sound familiar? 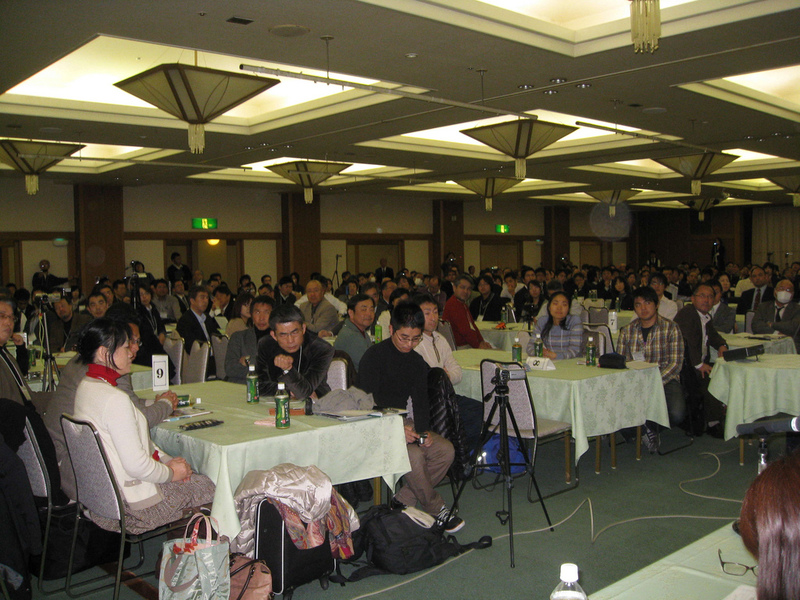 “Osake education board opposes governor’s intervention in school” Sept 15, 2011, from Japan Press Weekly. “The proposed ordinance is outrageous” says one University professor and Osake Board member. Another, Ogo Masura condemned the Governor’s plan to dismiss teachers who refuse to follow the same order three times, or receive a low evaluation twice. I realize I don’t really explain the Osaka issue. It’s part of a new conservative drive to strengthen nationalism and pride in Japan etc. by requiring all teachers to stand and sing the national anthem and to honor the flag, etc. which many teachers (and citizens) have not done since WWII. It is part, in short, of another political struggle gong on in Japan. A good many US books on education are translated into Japanese, but not many Japanese books make it into English. I’m hoping someone will undertake changing this. I would love to read my host, Prof. Sato’s books, for example. 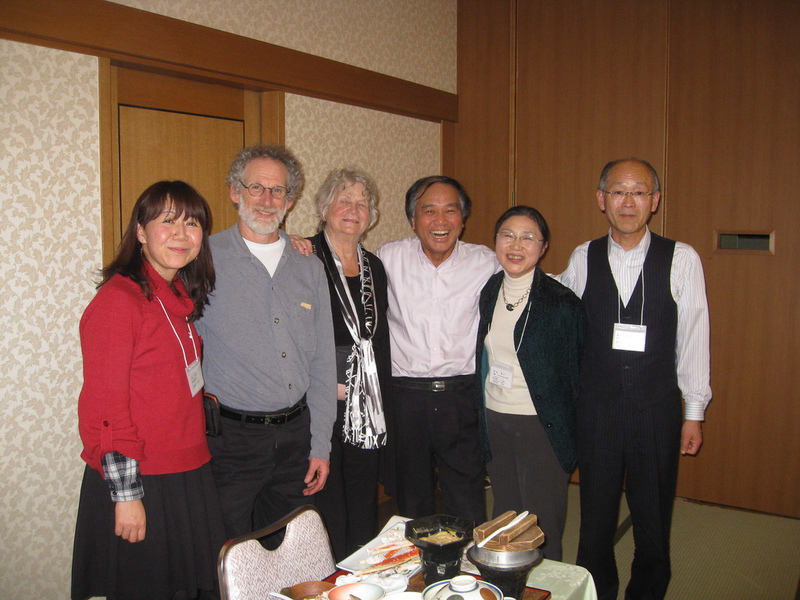 His followers here in Japan view him much as I do Dewey, Sizer, Ravitch, Perrone and Weber. I am hoping we stay in touch with the many people we met, and maybe even get to make another visit when schools are actually in operation. You know me—I want to see some kindergartens. 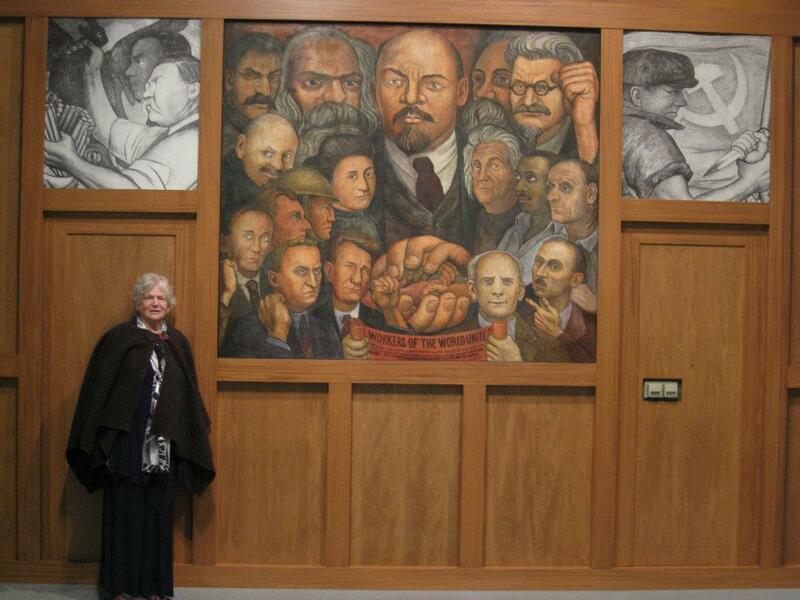 Debbie with the Diego Rivera Mural displayed in Japanese Museum. The mural was once owned by her parents. What should I translate? (If I ever have time.) I’m in my second year of teaching in the Boston Public Schools… but in a former life was a so-called Japan specialist. I’ve admired your work since encountering it as I began my career change. I was just at a symposium in Chicago honoring my dissertation advisor, Norma Field, who is retiring, and several of the presenters, including Tokyo University professor Komori Yoichi, spoke of the terrible developments in Osaka. But I ramble. Really: would translating be a service? Hello Ms. Meier. Thank you for your report on the state of things in Japanese schools and the system. Ugh! Having to stand and salute a flag. I remember hating those days in elementary and middle catholic schools in the 60’s. And it wasn’t because I hated standing or having an activity. I just remember being confused about it because no one ever explained why. We were required to memorize the words from recital, not even from text – though I don’t remember being able to read at that age at all. Probably because my mother who would try to read to me at night would fall asleep. Every time. Without fail. So, I never had the benefit of late night stories. While I appreciated every word you shared about Japan’s education concerns I mostly want to say thank you for being the highlight of my evening at PS379 tonight. Thank you for remembering that children, wherever they are in their development, are quite capable of learning without help. I know this first hand, because I learned everything I know without help – most of the time. And I thank the few people, including my mother, for the encouraging words or I would not be here writing this to you today. It’s a different ball game today then it was when I grew up. Kids don’t have role models. They don’t have mentors. There is very little going on in the real world that interests them because THEY ARE BORED! They are bored at home, in schools and on the streets. HELP!!! Let’s toss out the Ritalin and build some parks! Anyway, to tell you a little about myself. I was let go as Parent Coordinator of the NYC Lab School high school last October where I was employed for eight years. My son is a former K-12 student of the NYC public school system. I was a parent advocate when he was in school and I continue my role as a parent advocate today because no one else will stand up in the face of DOE adversity to right a wrong. I am someone who has always stood at the side of parents defending their rights and the rights of their children. I always will. I found it curious, at the very least, that tonight there was no HS representation on the panel. Nor in the audience. This struck me as very odd. I’ll bet that the DOE would rather not have HS to deal with at all for the next four years as they roll out the Common Core modifications. They are so invested in what’s to come in the next 3-4 years, that the last thing they really want to do is contend with it’s current high school students and parents. High school students as I write these words are just a forgotten bunch. They’re not going to be around in four years. And they’ll be long gone by the time this city wraps what little brain it has around a Common Core shift that is basically another distraction. Another thing to worry teachers about. I get that it’s a way of providing organization to the “instruction” that currently exists, as Ms. Schroeter suggested. But come on that’s ridiculous. Teacher’s college must teach teachers something about how to teach students. No? Must we really impose “new” standards just because the old ones are failing? How can anyone place standards on a developing mind? I agreed with so much of what you shared tonight Ms. Meier. And what I came away with, in addition to many other questions raised, is that – children are quite capable of learning on their own. They are born learners. It’s the adults that screw them up. And, “school doesn’t speed up learning…”. I hope I got it right. Please, never give up the microphone. Keep screaming it loud and clear, and with all your heart and soul!